Species to hunt - Big Game Hunting Estate in Spain. "Los Claros"
Origins: Livestock farming and hunting. Until the late 1960s, the land now occupied by the reserve was divided among a number of different farms and ranches. Rabbits, hares, partridges, quails, pigeons, and to a lesser extent, wild boars, and pure iberian red deer shared the land with domestic sheep and goats. At that time the last wolf was hunted in “The Wolf’s Cliff” as we now know it. When the reserve was established in 1970, domestic livestock was retired. At this time all the game benefitted from their absence and their populations began to increase. 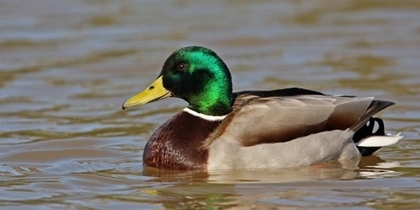 In addition, the creation of a greater number of ponds gave animals more access to water and also attracted waterfowl like ducks. Today, the reserve has 5 big game species to hunt: pure Iberian red deer, wild boar, Iberian mouflon, roe deer and ibex. The small game species: 10 smaller species can also be hunted: rabbit, hare, red partridge, song thrush, wood pigeon, common dove, magpie, fox, mallard, and rock pigeon. 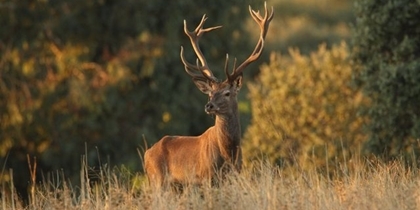 Pure Iberian red deer represents the largest population of ungulates on the reserve. Their hunting is allowed from September 1st through to the last day of the season in December. The hunting methods for this species are montería, stalking, and waiting. It is also considered a marketable species alive and the hunter can capture them for sale. Like all small species, hunting wood dove is less common. Their hunting is allowed by hand hunting during the designated time period or fixed days in the midseason. 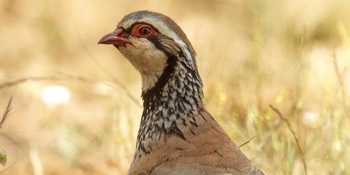 Hunting for partridge, like all other small game species is less common. Their hunting is allowed by hand, or claim during the designated time period. 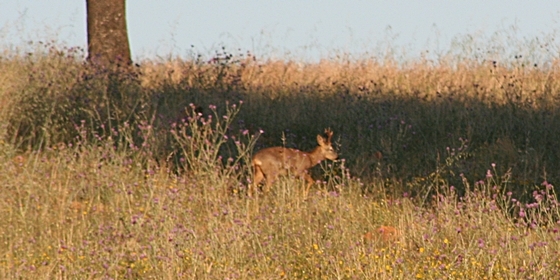 Roe deer is the fourth most populous ungulate in the reserve. Since the mid-nineties the population of the larger red deer has displaced this small deer. Only in recent years has the population become more present in "Los Claros". Stalking or waiting is allowed. The wild boar is the second most common ungulate in the reserve. The hunting methods allowed are montería, stalking, and waiting. 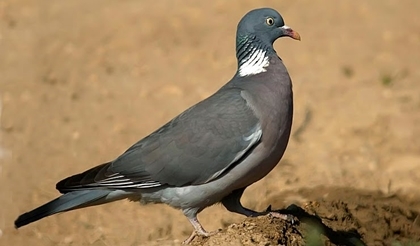 Like all small species, hunting rock pigeon is less common. Their hunting is allowed by hand hunting during the designated time period. Fox, like magpies, jackdaws and carrion crows are opportunistic predators that thrive in harsh environments. This makes it necessary to control their populations for the benefit of other less advantageous species. The number of foxes that can be hunted varies by their population level. Their hunting is allowed by jump hunting during the designated time period and from April 1st to September 30th with a firearm. While the wild goat is a native species in the area, their presence in "Los Claros" is infrequent. They often jump over fences and move at will throughout the landscape. Ibex can be hunted by stalking or waiting during the designated time period. 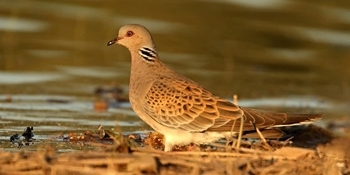 Like all small species, hunting turtle dove is less common. Their hunting is allowed by hand hunting during the designated time period or on fixed stands in the midseason. 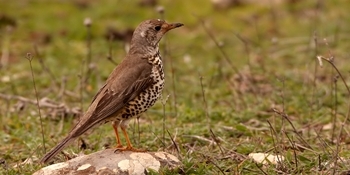 Like all small species, hunting thrush is less common. Their hunting is allowed by hand hunting during the designated time period or on fixed stands in the midseason. Iberian mouflon are the third most-common ungulate at "Los Claros". Since their introduction in the early 1980s, Iberian mouflon have proven to be ideally suited for the area and environment. This is evident in the number of trophies. In 1991, one of the "Los Claros" Iberian mouflon won the National Record that is still held today. It is still recognized as one of the best trophies in the world. Mouflon pose a challenge to the hunter and is a very engaging species to hunt. 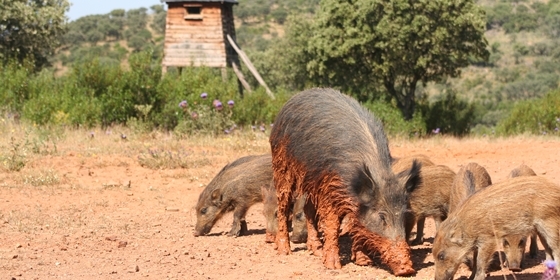 They are one among many other big game species that make "Los Claros" one of the best hunting reserves in Spain. Their hunting is allowed by montería, stalking, or waiting during the designated time period without any quota. 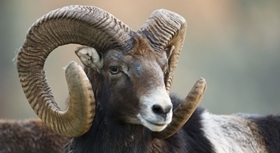 Mouflon are also considered as marketable livestock, therefore the live-capture and sale of this species is permitted. 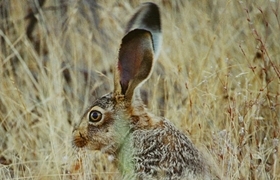 The Granada hare, like other small species, can be hunted but it is less common. Their hunting is allowed by jump hunting during the designated time period. Magpies are opportunistic predators that thrive in a wide variety of environments. We keep their population at a manageable level to benefit the other species in the reserve. 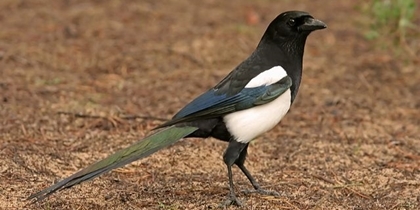 The number of magpies that can be hunted varies each year depending on population levels. Their hunting is allowed by hand hunting during the proper season. In addition, the magpie, carrion crow, and jackdaw can be hunted with a firearm during April and May. From April 1st to September 30th, trapping is allowed.